Getting ready for October 23rd coat giveaway. Had a big sort of coats, hoodies, blankets, towels and other thrift items in Bismark on Saturday at Legacy church. We had 16 to 18 volunteers help sort all the items we had in storage there from the UMC Annual Conference this past June. We are working hard to get ready for our fall coat giveaway which is set for October 23rd from 2 to 8 pm. at the east end of the Cashwise parking lot. We will have over 200 coats on hand for men, women and kids. We will also be having a cap, gloves and kids boots giveaway shortly afterward. Please watch for posts concerning this event. You can also keep tabs on us through our Fb page, Oil Rush Ministry. We have been blessed to hand out over 7,000 items in the past 11 months. 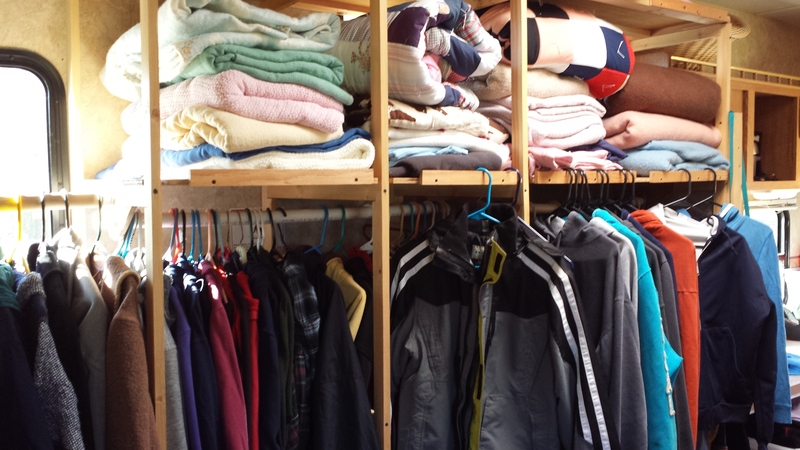 Everything from coats to heaters, to bedding to kitchen appliances, snow pants, caps, gloves, pots, pans, dishes, silverware and everything in between….even toothbrushes and water bottles. Thank you to all who have supported us with donated items, prayer, volunteer help and monetary donations. We could not do what we do without your support. God Bless you all!